Input data consists of field SPT blow counts versus depth, and soil layers data. NovoSPT applies all SPT corrections including overburden stress, rod length, borehole diameter, sampler type, and energy level. 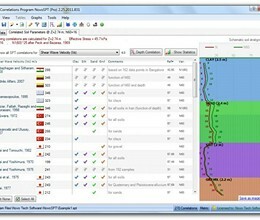 * NovoSPT download link provides trial version of the software. No one has rated NovoSPT yet. Be the first to rate this product.